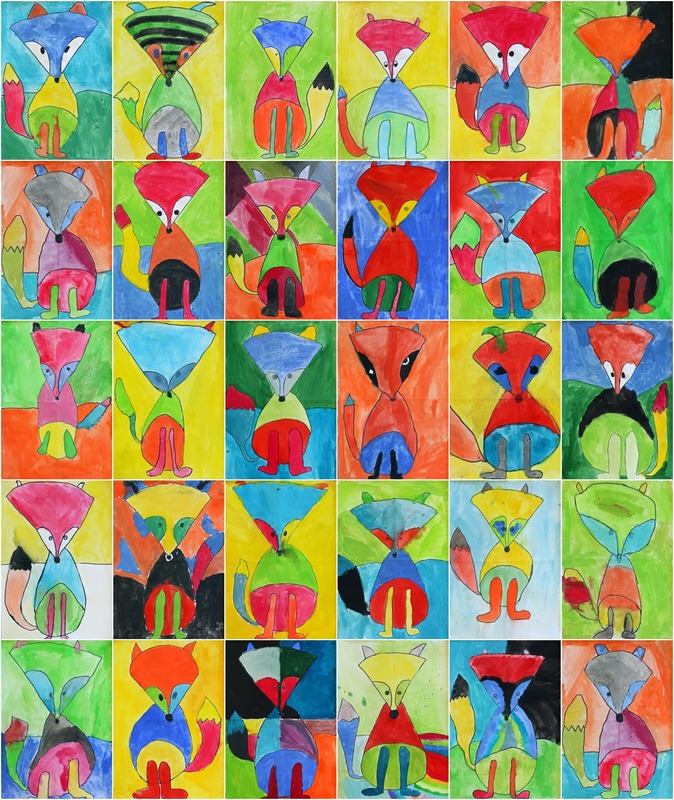 "Fantastic Fauvist Foxes" says it all really... This 3/4 composite class were mid way through Roald Dahl's classic Fantastic Mr Fox. We began by following a guided drawing lesson from Kathy at Art Projects For Kids. After starting in pencil we then traced in permanent marker. 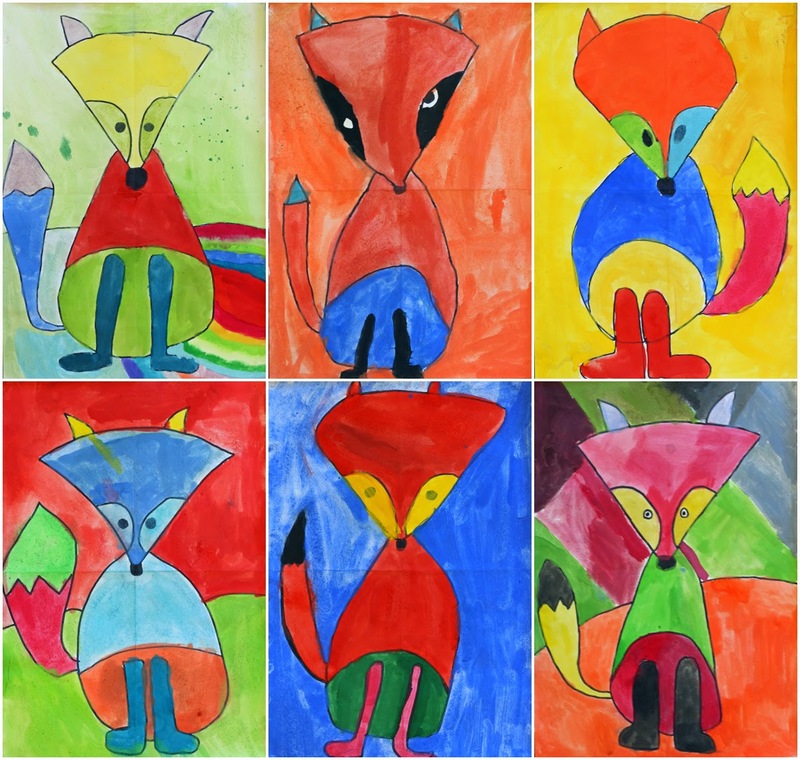 Taking inspiration from the bold and non realistic colours of Fauvism, students completed their foxes with water-colour paints. They look *fantastic! So full of character and expression - love the eyes on that fox in the middle of the top row..
Love the very foxy foxes. You might also like to look at Gavin Bishops Fantastic Mr Fox, he is a New Zealand author, here in Christchurch, where I live and teach, that also does amazing art. I will be using this book, too for our foxes. Thanks for sharing. I'm planning to drive a campervan around NZ with a roof loaded with surfboards one of these days... And I just found Gavin's website - thanks for sharing. Thanks Elena : ) Great to hear from you and see your students' work! What watercolour paints and paper did you use? My pupils have never used watercolours before but I think they would really enjoy this activity! Thanks very much for sharing.